Assigning responsibility to analysts for any new implementation by the department to meet KPIs. Oversees a team of 2 -3 Analysts staff to process and create vendor/ manning agent invoices, invoice without purchase order and Credit memo for all CMA CGM vessels in TOUCH system. Ensure all vendor invoices process in a timely accurate fashion, and ensure the invoices are matched with the PO. Ensure billing party, account code, nature and cost center are assigned correctly to respective invoices. Manage and monitor functional mailbox; assign and allocate invoices responsibility to payable analyst. Prepare and record advanced payment for vendor and unit vendor payment in TOUCH. Monitor the team on creation of Problematic invoices, ensure that follow up with Procurement or Technical team closely to clear the issue. Perform checking on Vendor’s Statement of Account (SOA) and respond to vendors queries about payment status and details. To monitor, guide and advise the analysts in following up with vendors and procurement team on the invoices matters and payment issues. Ensure the updates on the summary of invoices on timely basis, ensure all payment details record in spreadsheets for audit requirement and accrual report. Ensure the updates List of invoices without GRN report and Invoices pending approval report on timely basis. Ensure individual and the team productivity and SLAs are achieved on monthly basis. Monitor the usage and feedback on TOUCH system implementation, provide feedback for further improvement from time to time. Liaise with treasury for reject payments and on vendors matters. Assist Analysts and Assistant Manager to ensure that issues escalated are resolved in a timely manner. 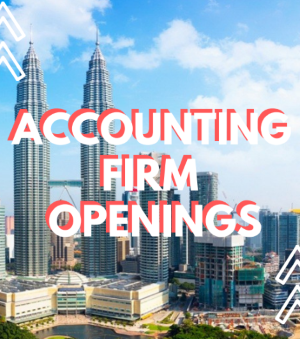 Provide guidance and on-job training to Accounts Payable Analyst. Propose and lead process improvement initiatives or any ad-hoc projects. Assigning responsibility to respective analysts for any new implementation by the department. Ability to communicate well with external parties (vendors) and internal parties, strong commitment and dedicated. Strong communication skills. Problem solving skills. Attention to detail. Able to deliver under pressure. Adaptable to change. Possess leadership skills. Ability to supervise team in highly stress environment.